Stilwell Retirement had a nice family kind of feeling. Everybody's really nice. If I were to decide to live in one of those places, it would be here. The folks were friendly. It's just a nice atmosphere. When I walked into the place, people behind the desk said, "We're expecting you," which was a nice feeling. The guy that runs the place came up and we went into a TV room and the residents sat and talked with me. Lunch was served and it was good. My dad moved here from east Texas over three years ago. He was hesitant to move away from his hometown but realized that he needed to be closer to family. I knew that many of the residents were from Waco...but on his move here, we learned that there were also many out of towners. Regardless, my dad was welcomed by all! People are friendly here and make efforts to include new residents in activities. A real plus is that there is little staff turnover with many working here for years. That speaks to the happiness of the staff and therefore the residents. Though Stilwell is not a brand new building, there have been renovations and efforts to update the facility. The maintenance is great - with issues being responded to quickly. When seeking a good and comfortable place for my dad, it was evident that staff and resident happiness took precedence over a happy hour or new building. What has been most surprising the good food with multiple food choices! My dad has been happy here and has gained many friends. He plays 42 and Bingo routinely. When my dad first told me he was moving into a retirement residence after my stepmother passed, I was concerned that he wouldn't like it because he's always owned his own home, and for many years lived out in rural areas with no nearby neighbors and seemed to like it that way :) Stilwell has been an absolute blessing. His description of living there is that it is like having 90+ brothers and sisters and they all look out for each other. He's happier than I've seen him in years, and I think a huge part of that is because of the atmosphere at Stilwell. He thoroughly enjoys the activities and special events.The staff is great! Many of them have been there for years and you can tell they love their jobs and the residents. Even though the facility itself is older, it has been well maintained and Dad likes his room. Every time I've eaten there, the food has been delicious and the dining staff has been so friendly and welcoming (Dad's complaint is that he's getting too fat, so I know he likes the food too LOL). The cost of living there is very reasonable and the quality that Stilwell has added to Dad's golden years is priceless. I highly recommend it. My grandmother has lived at Stilwell for nearly a decade, and she is always telling me it was the best decision she ever made. We were a little nervous when our grandma, who has been all over the world and traveled to every continent, chose to sell her house and move into an independent living community. No need to worry: She is just so happy there. She's immersed in a kind, caring community where residents and staff take care of one another. Even after giving up her car, she's out and about daily using the bus and getting rides with friends in the community. She loves the food (and always takes me to visit the dining staff when I visit). And her brightly lit, neat studio apartment is a slice of the house I remember her living in when I was a child. With her new mini kitchen, she even has it well stocked with ice cream, just like old times! My mom has been a resident of Stilwell for four years and we all couldn't be happier. She loves her room. It is spacious and has recently been updated. Meals are provided. Her room is cleaned once a week and there are plenty of amenities available such as an exercise room and hair salon. There are lots of activities to choose from such as bingo and card games, and special seasonal celebrations as well. The cost is quite reasonable and it is located near shops and restaurants. I'm so glad my mom found this wonderful place and she is very happy there. My grandmother lives at Stilwell and it has been a great environment for her to live in. There are frequent social events such as bingo, ice cream socials, and musical performances which keep the residents connected to one another. The staff is always friendly and helpful. They have recently replaced the flooring and have made other nice improvements to the interior of the building. The buiding is well maintained. We have been very happy with Stilwell. My grandmother-in-law has lived here for several years and it has been a great experience not only for her, but also for her family members who visit frequently. I've been going to the Stilwell pancake breakfast (annual event which seems to draw about half of Waco) for years and it is a fantastic event for residents and the community. The location in the middle of town is convenient to shopping, restaurants and medical facilities. My family has had a long and wonderful relationship with Stilwell, with numerous friends and family members choosing to live out their golden years in this homey-yet-modern setting. My 96-year old mother is a current resident. I would encourage anyone to take a look at and give consideration to Stilwell. From start to finish, Stilwell gets an A+ in my gradebook. It offers up-to-date yet affordable accommodations, a plethora of intellectually stimulating programs, delicious home-made cuisine, personalized shuttle service, and (most of all) a loving, caring staff that makes a conscious effort to ensure the dignity of each resident. I feel good knowing that my mother lives in the comfort and safety of Stilwell, surrounded by people who genuinely care about her well-being and happiness. My mom has been there for 7 years, and she calls it home. She is a very independent person, and loves being able to take care of herself. She loves having her room to herself, or venturing to the common areas for activities and company. She LOVES the staff, and enjoys the food and gathering with others for meals and events. I live 700 hunded miles away, but feel confident she is in good hands, and not lonely. When i go to visit her, i get a good, good feeling from the staff, the residents and from her. She quit driving three years ago, but still gets out as much as she wants on the Stilwell van, and the driver is wonderful. She even goes to the gym and to Lady Bear basketball games. I checked out several places in Waco for my Uncle. Silwell Retirement stood out from all of the other places . Management and all of the other employees go out of their way to meet your needs. They truly care for the residents. My dad has lived at Stilwell for 2 1/2 years and our family has been so happy with the accomodations. Many staff members have worked at Stilwell for years, are super friendly, go out of their way to be helpful, and know each of the residents by name. There are various activities throughout the week plus many residents get together for games, coffee, working in the various gardens, etc. My dad likes having three delicious meals a day plus enjoys the comradery of his table mates. 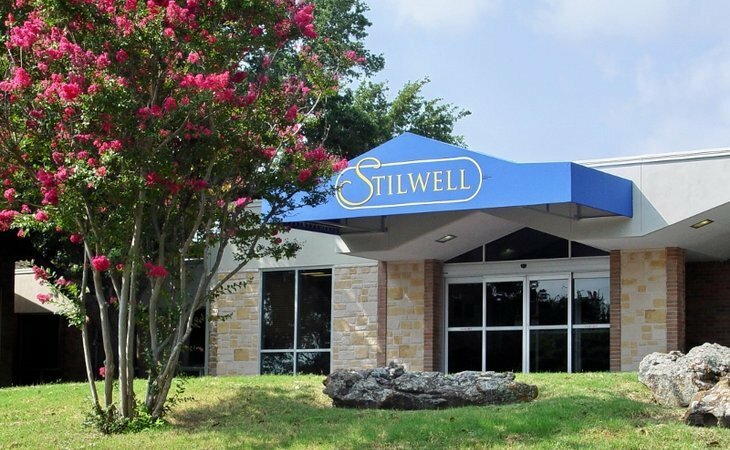 Stilwell isn’t fancy, but has a wonderful homey atmosphere which suits him to a T.
My mother was at Stilwell the last two years of her life, and I have nothing but good things to say about it. It proved to be a truly caring community for her---, great people, great staff, a lovely, homey environment, varied activities and menus. Everyone who works there---be they administration, reception, food services, maintenance--- is kind and helpful. The residents are from different experiences and backgrounds, interesting and often well-traveled, and are comprised of couples as well as individual men and women. It is also one of the most economical centers, especially given the quality of the environment and the amenities included. If I lived in Waco, this would be my first choice for my last home. My grandfather lives at Stillwell and has had a wonderful experience there. Stillwell allows him considerable freedom, while providing support should he need it. He has made friends at Stillwell and has an active social life. Despite being a very picky eater he enjoys all of the meals at Stillwell. His only complaint while living there has been the higher number of people who aren't as mentally alert as he is. He misses being able to have complex conversations and discuss intellectual topics with the majority of the other residents. He is very complementary of the staff, and has never been treated poorly. The administrative staff in particular seem very engaged and willing to help him get around the city if he needs something. The facility is very clean and comfortable, and he especially likes that he can use the cafeteria and other areas to host events for his family. We have had more than one Christmas gathering at Stillwell, and it makes him happy knowing that we can still come to him for holidays. Describe the overall population of independent living residents at Stilwell Retirement. What is their average age? What are their favorite things to do? Stilwell has a very friendly community size of around 90. Ages range from late 60s to 100. Many are involved in our activities - exercise classes, movie night, chapel, Bingo, musical programs, etc. Many are also active in their churches, clubs and/or traveling. We are right across a side street from a center which includes a middle size Target, a branch of our public library, two restaurants and several other shops and stores. What are some recent off-site events that the community activity director at Stilwell Retirement has organized? We have taken trips to the Waco Civic Theater (just a few blocks away), a movie theater, the zoo, and a tour of Waco. What transportation services does Stilwell Retirement offer to independent living residents? Stilwell has a bus which runs in the mornings, Monday through Friday. What makes the chef or dining program at Stilwell Retirement exceptional? What kind of menu can independent living residents expect? Stilwell has a dietary staff with many years of experience. (Our head cook has been with us over 40 years!). All meals are prepared here, residents have a choice of times to eat, plus we use a select menu providing a variety of choices. Stilwell has a TV room, living room with a fireplace, a country store, coffee corner, large print library, activity center, chapel, workout room, enclosed patio, beauty shop, guest room, and six lounges. What safety features or security measures does Stilwell Retirement offer to independent living residents? Our facility was built 54 years ago and was built to last! There is a fire suppression system throughout our building, plus each resident has a 24 hour personal alarm device. If Stilwell Retirement accepts dogs or cats, what indoor/outdoor areas can they enjoy? Stilwell does not permit dogs or cats to live here, but pets can be brought over to visit with residents. Does Stilwell Retirement work with an agency or registry to provide nursing and medical assistance as needed? We do not work with any particular agency, but Waco has a number of home health agencies which have worked with many of our residents. There is also an agency in our building which provides physical or occupational therapy. There are bridge games daily, exercise classes, Friday night bingo, entertainment, educational programs, craft activities, Bible Study and Chapel Services. We have a large print library with over 1,000 titles, plus a computer room with free high-speed Internet access. Enjoyable musical programs, educational classes, book reviews, and much more are provided in our Activity Center. Our active Residents' Council sponsors fun activities such as festive parties and our Annual Pancake Breakfast. If you'd like to have company visit, we provide guest facilities for overnight stays, a guest table in the dining room and a lounge where you can entertain or even host a party, Sunday School class, or family gathering. We love Waco, Texas and you will too. Waco is a beautiful city filled with friendly people. With over 118,000 residents, Waco has the amenities of a larger metropolitan area but offers the convenience of a smaller community. Waco is your gateway to anywhere with two airlines serving the area. Waco is the home of two colleges and Baylor University. It has most of the major department stores, a mall, and many shopping centers. There are excellent doctors and many medical clinics. Waco is a community with performing arts, museums, a zoo, festivals, rivers, lakes, wonderful parks and churches of every denomination. We are right across the street from Target, and a branch of the Waco Public Library. Providence Hospital is located a mere 1.5 miles away. A newer facility, Providence recently completed a new multi-million dollar addition. Hillcrest Hospital's recent move to their new facility has brought Waco to the forefront of medical services in Central Texas. Our first priority is given to retired educators, but as space permits, we gladly welcome retirees from other professions. In fact, we have a remarkable mix of retirees from all kinds of professions. We do not charge any entrance fees, plus there is no lease required, just a month to month rental arrangement. What should caregivers and potential residents know about Stilwell Retirement?